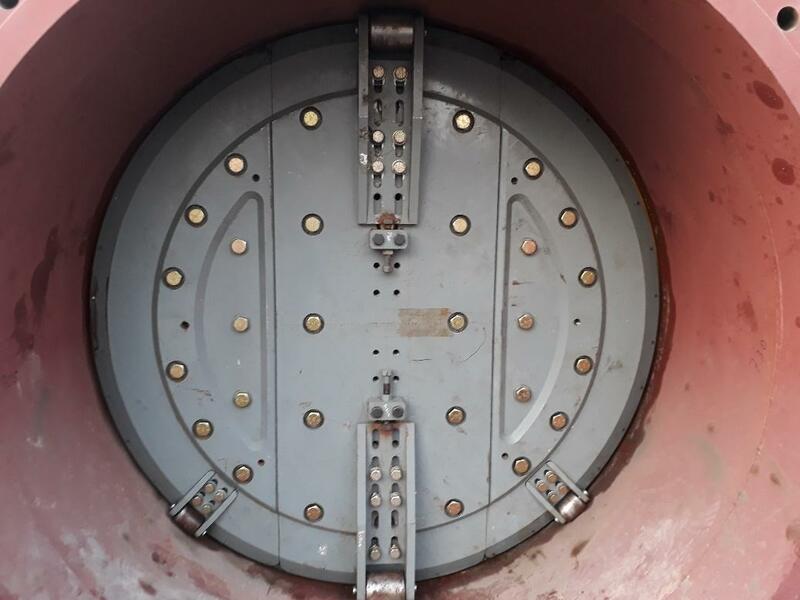 Our specialist hot tapping equipment enables a connection to be made to a piping system or a vessel without shutdown or interruption to production. Unique Onsite Engineering division successfully performed Line stopping and hot tapping on a 66" cooling water line on a chemical plant in Saudi Arabia with no shutdown, no interruption to operations, and no loss of revenue to the client. It was one of the toughest engineering challenges we worked on in 2017 not just due to the size but also the configuration of the piping system and condition of the pipe. While we have previously carried out line stopping up to 40" above 70 bar, the issues with this much larger line, connected to a common manifold were that the spiral wound pipe was irregular in shape and ovality excess of 1-1/4" which created problems with installing a contemporary round line plugging head. The whole line plugging operation and valve removal/insertion was completed within a 36-hour window, with 100% leak free isolation being achieved. On completion the client was able to replace the 66” in-line valve without a total site shutdown to production.